Have you ever wondered if you actually got the dynamics of your team right? Sometimes watching their behaviour can really make you question whether you understood your team in the first place. The formal hierarchy of your department may dictate one dynamic of your team and the way they interact, yet the informal dynamic can shed a whole other light on your team. 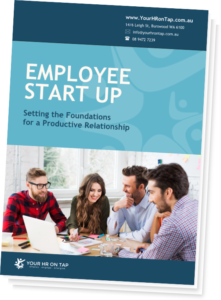 Understanding both the formal and informal dynamic of your team will allow you to have a better understanding of the way they work together – more so than what is dictated by the workflow and the team’s responsibilities. it just might not make any difference at all. The informal dynamic of the team can wield great power if you allow it. Trying to get the informal groups to positively reinforce the organisation’s goal is well worth the time and the effort. What about relationships both in and out of the office? Does your team have any interpersonal considerations you need to take into account? Out of office relationships can affect the way they play out within the office environment. Knowing the interpersonal connections and how they fit together will help your understanding. How would you know if you had a problem within your team? I have listed below a few signs that will show you that your team is not operating at its full potential. Your group may not be achieving your agreed goals. Someone may be guarding information and it is limiting another’s capacity to do their job. Information is not being shared when needed. Individuals are being excluded from the team and team processes. Some people have much more to say than others. Conversations have a negative or critical focus rather than being constructive. Of course, you can’t miss signs like unhappy faces, increased absenteeism or the water cooler conversations that suddenly hush as you walk by. What can you do to understand the dynamic? I have found there is only one way to get to the bottom of any team dynamic and that is to talk to the people concerned. You can do this via informal individual interviews or just through general conversation. Individual chats work well when you know your team. You don’t need to be formal; just chat about work. Through general conversation, you can discuss how they are getting along with each person in the team and ask for their views on each team member.